Andrew focuses his practice primarily on intellectual property litigation and counseling, particularly pharmaceutical drug patent litigation and regulatory litigation involving the U.S. Food and Drug Administration (FDA). Andrew is a litigator with extensive complex federal civil litigation experience. His experience includes litigation and alternative dispute resolution involving chemical, pharmaceutical, mechanical and software patents and licenses on patented technology. Specifically, Andrew has represented plaintiffs and defendants in disputes involving patents directed to pharmaceutical drugs, web browser and operating system software, radiographic film and electrophoresis separation technology. Andrew has extensive experience litigating cases brought under the Hatch-Waxman Amendments to the Federal Food, Drug, and Cosmetic Act for pharmaceutical products and under the Administrative Procedures Act. Andrew’s pharmaceutical drug patent litigation experience includes a particular emphasis in heavily technical cases, such as original molecule patent challenges and pharmaceutical polymorph cases. He has particular expertise in the area of pharmaceutical polymorphs and is well-versed in various analytical techniques used to test pharmaceutical products, including single-crystal and powder X-ray diffraction, spectroscopic methods such as infrared and Raman spectroscopy, nuclear magnetic resonance, differential scanning calorimetry, melting point and Karl-Fischer analysis. Andrew is also experienced in negotiating settlements of intellectual property disputes, particularly drug patent disputes, and in employing licensing strategies that benefit clients. Andrew has prepared opinions of counsel for clients on a variety of intellectual property issues, including patent infringement clearance/right to use opinions on scores of pharmaceutical drugs, validity opinions on patents covering pharmaceutical drugs and inkjet printing devices, and legal opinions on other various subject matter, including the scope of rights acquired under patent term extensions granted under 35 U.S.C. § 156, the validity of certain § 156 extensions and various trade secret matters. He has also carried out due diligence investigations involving patent portfolios for pharmaceutical drugs and drug delivery technology. 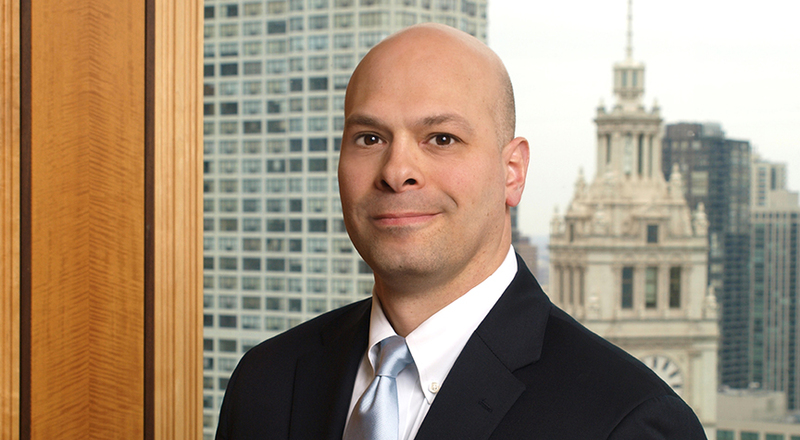 Andrew counsels clients on issues arising under the newly enacted Leahy-Smith America Invents Act (AIA), including opposition procedures such as post-grant and inter partes reviews, and including changes in the law to patentability and novelty. He also routinely counsels clients on issues pertaining to regulatory approval of pharmaceutical drug products under the Hatch-Waxman Act, as amended by the 2003 Medicare Modernization Act. Andrew counsels clients on patent certification strategies for FDA Orange Book listed patents and on issues such as 180-day generic exclusivity and approval timing. Andrew has experience prosecuting patent applications, including applications involving bone putty and bone matrix grafting material, cartilage regeneration compositions, and sieving matrices used in electrophoresis separation and detection systems. He has also prepared appeal briefs to the Board of Patent Appeals and Interferences (now the Patent Trial and Appeal Board) for the USPTO appealing final claim rejections in various patent prosecutions, including the prosecution of an application dealing with novel polymer-based porous cellular foams used in wound dressing. Prior to joining Taft, Andrew was a partner at Rakoczy Molino Mazzochi Siwik LLP and an associate at Schiff Hardin LLP and at Leydig, Voit & Mayer, Ltd.
Sanofi-Aventis U.S. LLC v. Fresenius Kabi USA, LLC, No. 14-cv-7869-MAS-LHG (consolidated), ECF No. 308, Sealed Opinion (Dec. 19, 2017), ECF No. 320, Final Judgment (March 5, 2018), ECF No. 328, Redacted Opinion (Apr. 25, 2018) (D.N.J.) (Lead counsel for Apotex in litigation involving Apotex’s Abbreviated New Drug Application seeking FDA approval for a generic version of Sanofi’s prostate cancer chemotherapy, Jevtana® (cabazitaxel) Injection. After a bench trial, secured judgment invalidating Sanofi’s later-expiring method of treatment patent, paving the way for early approval and market entry of Apotex’s generic cabazitaxel product). Allergan, Inc. v. Apotex Inc., 754 F.3d 952 (Fed. Cir. 2014) (secured reversal of a district court’s judgment that patents covering Allergan’s Latisse® eyelash growth medication were not invalid, clearing the way for generic competition). Schering Corp. v. Apotex Inc., No. 09-6373 (PGS), 2012 WL 2263292 (D.N.J. ), aff’d, Merck Sharp & Dohme Corp. v. Apotex Inc., 517 F. App’x 939 (Fed. Cir. 2013) (after a bench trial, secured judgment of non-infringement for Apotex’s generic version of Merck’s Nasonex® allergy medication). Pfizer Inc. v. Apotex Inc., No. 08 C 7231 (N.D. Ill.) (secured settlement for Apotex in litigation involving Apotex’s generic version of Pfizer’s Lipitor® cholesterol medication). Novartis Pharmaceuticals Corp. v. Mylan Pharmaceuticals, Inc., No. 3:06-cv-2885-MLC-TJB (D.N.J.) (secured settlement for Mylan in litigation involving a generic version of Novartis’ Femara® breast cancer treatment).